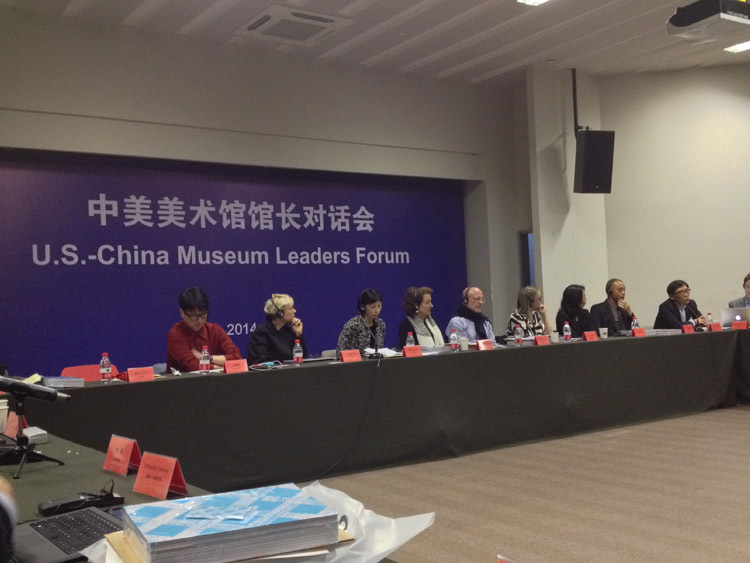 A little over a month ago I attended a U.S.–China Museum Leaders Forum in Shanghai sponsored by Asia Society and The Chinese People’s Association for Friendship with Foreign Countries. 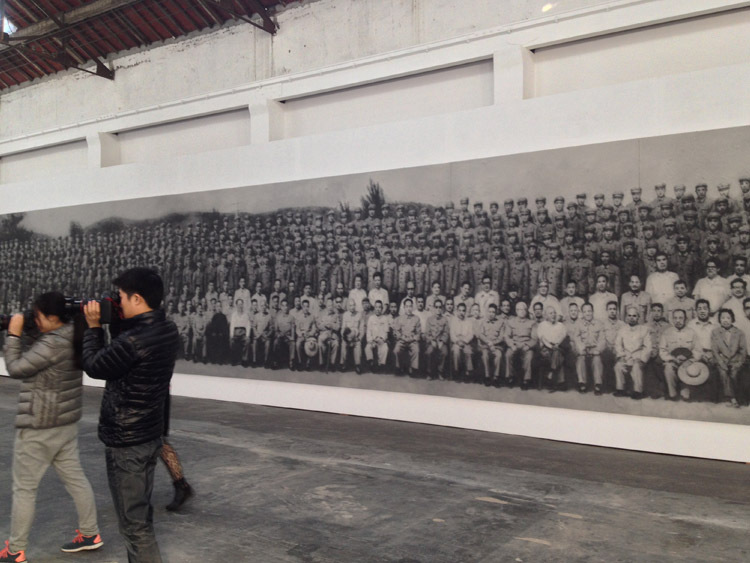 Alongside the conference we were able to visit the gigantic studio of the artist Zhang Huan near Shanghai. 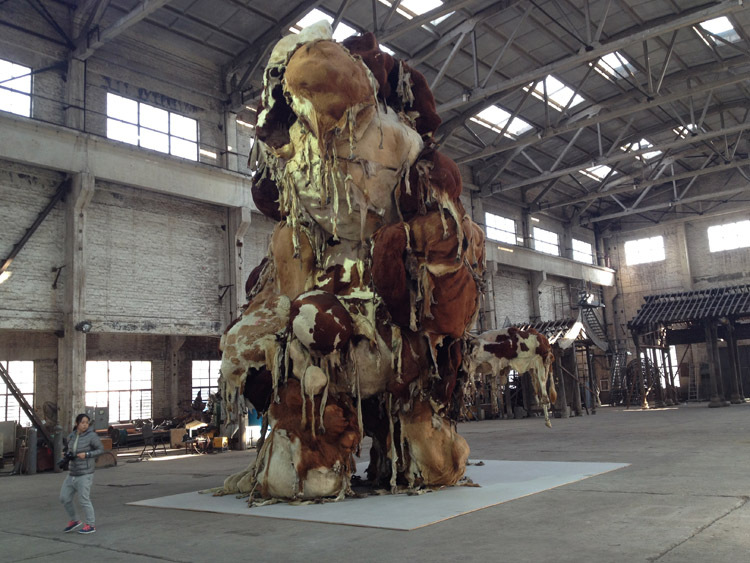 Some of these photos reveal the range of his work including monumental sculptures of unusual materials. The large scale painting based on a historical event is executed with the ash from incense and produced an overpowering aromatic presence. 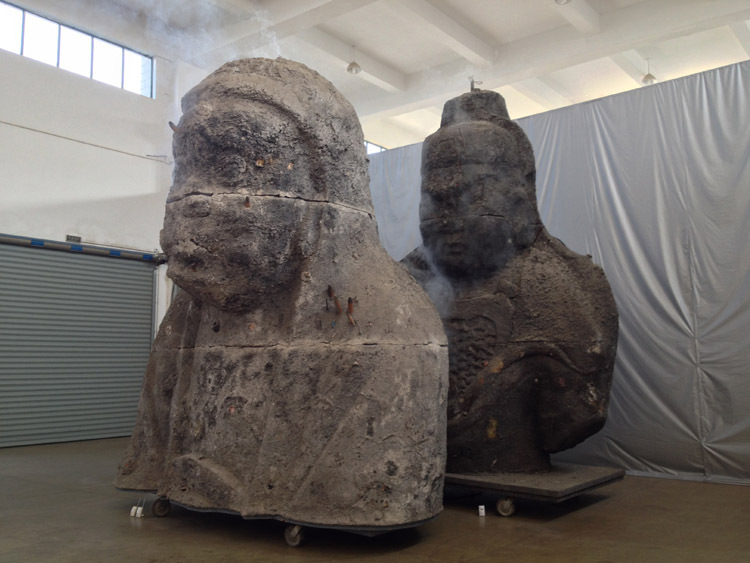 This brings to mind Zhang Huan’s ash covered sculpture head currently on view here at the Phillips. 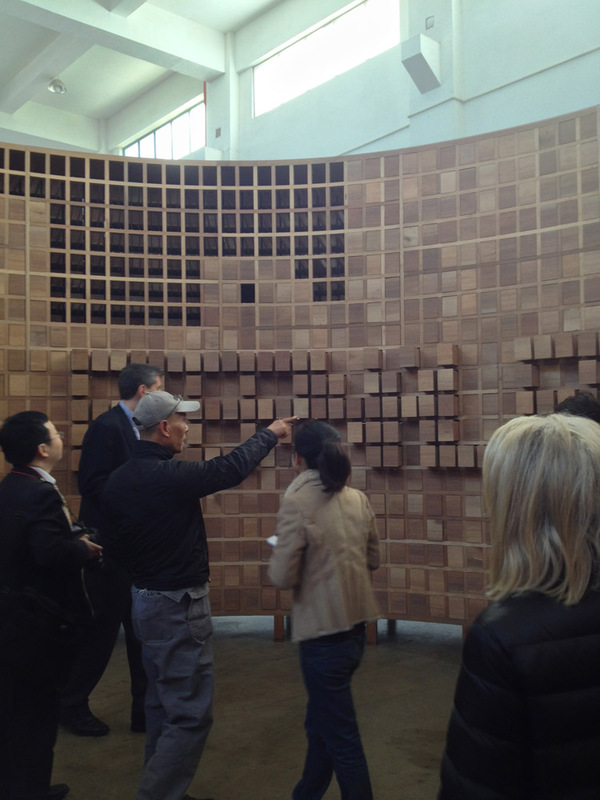 You can find it on the second floor in the installation A Tribute to Anita Reiner. 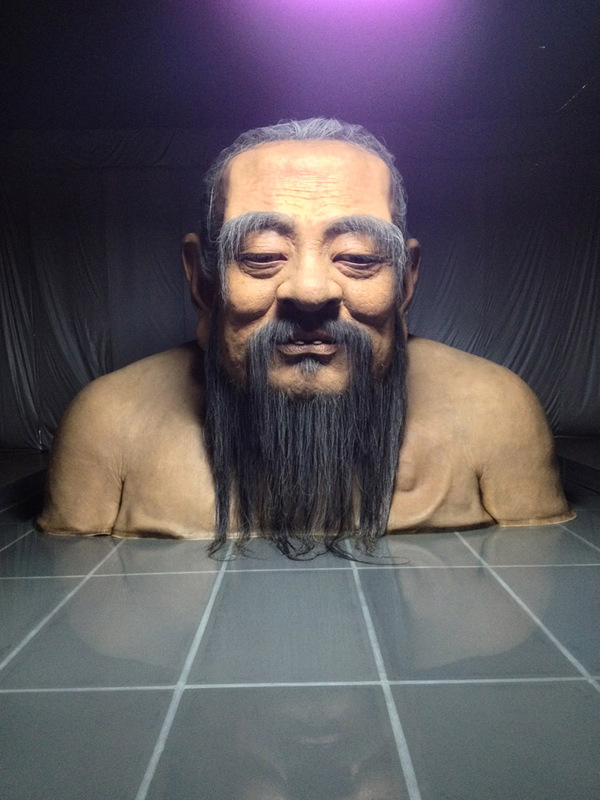 The artist appropriates a material that resonates with meaning from Buddhist temple tradition. 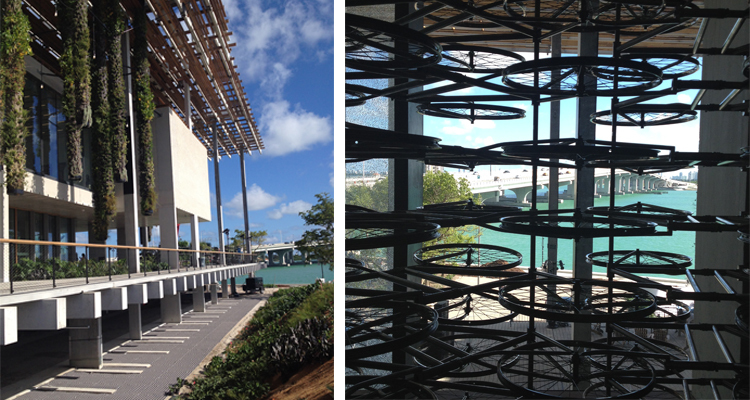 Earlier this month we were in Miami for the Art Basel Miami Beach fair and enjoyed our visit to the new Pérez Art Museum Miami. These photos reveal how the Herzog & de Meuron building addresses the waterfront and how it incorporates native plantings and gracious outdoor spaces so appropriate for the Miami climate. 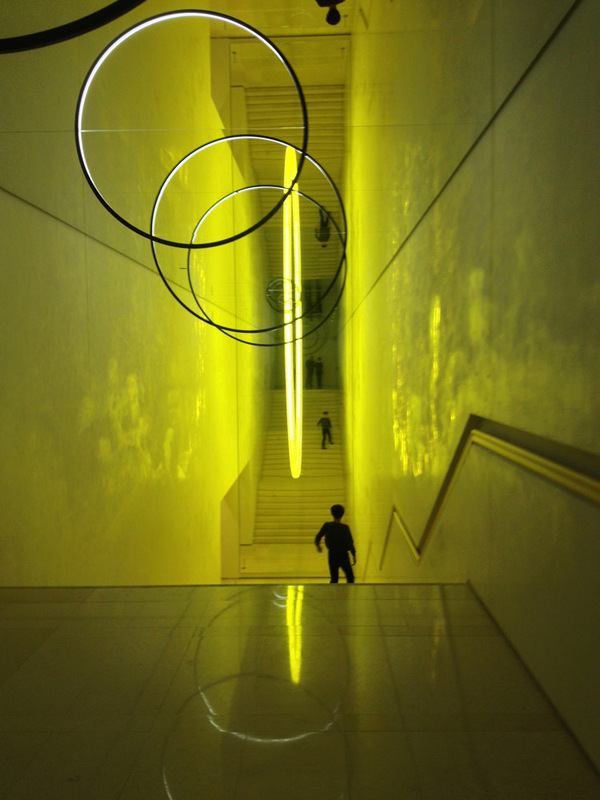 The bicycle installation (pictured at right above) is, of course, by Ai Wei Wei, in the same exhibition we enjoyed at the Hirshhorn earlier this year. My Pérez museum colleagues were brave, indeed, to open even with lots of building details still being completed and with the ongoing construction of the nearby science center causing major inconveniences. I look forward to visiting again when the museum and adjacent buildings are complete. It is a huge addition to the city’s cultural landscape.